One of our customers came to Norden Maritim with a challenge: Produce a chain guide shoe curving in three planes (In fact our customer also inquired to other makers, however no one but Norden came ut with a solution). 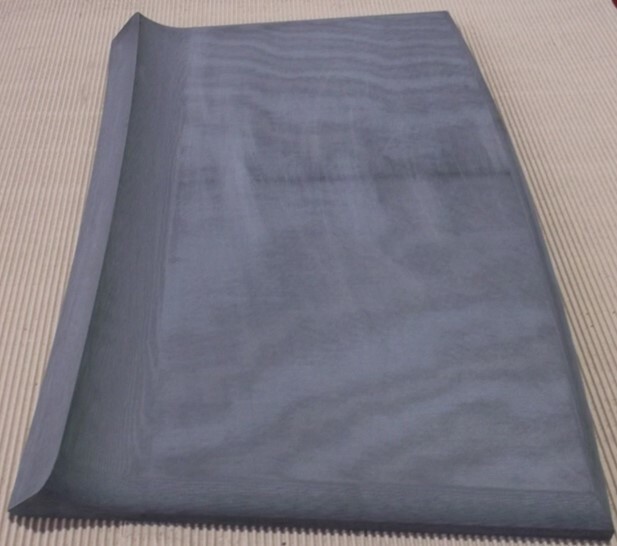 The material requirements were easily met by applying Norden 788 material grade. The challenge lay in building and machining a composite with the correct shape, while at the same time ensure the mechanical strength were intact. The solution was to produce curved segments of nominal dimensions 750x450x30. Assembled these segments cladded three shute arcs, each with a total arc length of 7m. The pictures show a finished segment, where also the segment's curves as can be seen. 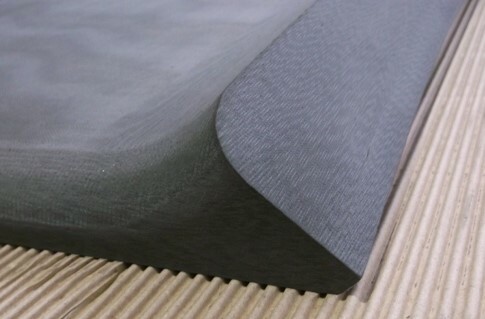 Norden 788 is a high load composite bearing material made of specially manufactured synthetic fabric reinforcement using a composite construction process which is impregnated with thermosetting resins, solid lubricant fillers are added which make it suitable for dry running applications. The product is dark grey in colour.